In the fire service, employee engagement is critical because people’s lives may literally depend on it. Engaged employees are generally happier in their work, and this translates to positive customer outcomes. The BFRS management team has implemented a number of initiatives to encourage member involvement and to recognize exceptional service and career milestones. We also partner with IAFF Local 399 to serve others, both on- and off-duty. Please click on the links below to learn more about our efforts to listen to our members’ ideas and concerns, say thank you for a job well done, and support our community. We believe that acts of selflessness, including bravery, exceptional customer service, and community involvement should be recognized. STARS is structured so that members work as a team to ensure that these acts are promptly and effectively communicated. Nominations are reviewed in a consistent manner so that awards are appropriately classified and our recognition system maintains its credibility. Awards are bestowed for actions both on- and off-duty. If you would like to share how our members or community partners actions have positively impacted your life, email [email protected]. To complete our customer survey, click here. All fire station crews and Special Operations Response Teams are able to show their crew and station pride by creating a unique T-shirt design. 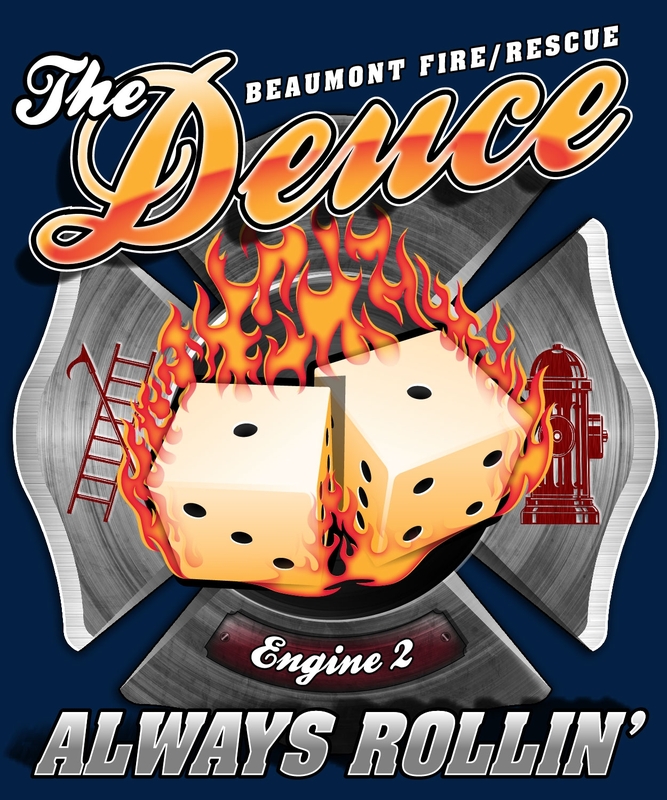 The front of the T-shirt must match the department-issued T-shirt, but members are free to create a design that tells something about the fire district served or the crew itself on the back. All shifts must agree on the design prior to being submitted. Draft designs are submitted through the chain of command to the management team for approval. Members may wear approved T-shirts on duty. Every fall and spring, pinning ceremonies are held to formally present STARS and service awards, recognize promotions, welcome new personnel, and provide an opportunity for fellowship with our members’ families. All personnel are encouraged to attend to lend their support and encouragement for their coworkers and their families. 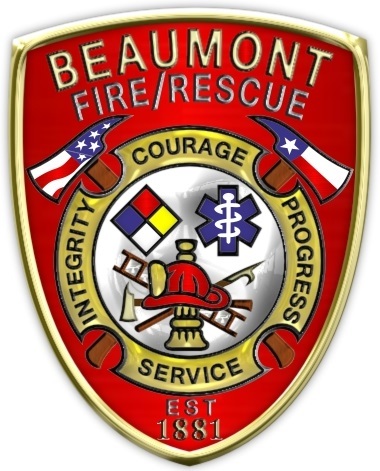 Each spring, Beaumont Firefighter’s Relief and Retirement Fund sponsors a retirement seminar and luncheon. All BFRS personnel and retirees are invited. The Fire Department’s retiree group meets as a part of the activities. The Fire Department has partnered with BFRRF Local 399 and the BFRS retirees group to acknowledge the service of, and provide gifts to all those who have retired over the previous year at the event. The Fire Department’s advisory groups provide direction for growth and maintenance of a variety of mission-critical programs. Group members assist the program manager, who facilitates the group’s interaction in areas like researching, testing, and providing recommendations on equipment and products, developing draft standard operating guidelines, performance benchmarks, or training programs. Standing advisory groups are composed of members from all ranks. Most groups meet monthly. To contact a program manager or training coordinator, visit our “About Us” section, and click on the “Get to Know Your Department” tab. Developing ideas into practical solutions that improve safety, effectiveness, efficiency, communications, or morale is everyone’s job. The solutions box process includes guidance to members on developing ideas into solutions that could be implemented and sustained. Proposed solutions are emailed to a shared box and forwarded to the appropriate advisory group for evaluation. If the solution is recommended, it is forwarded to the management team. If the solution is not recommended, the program manager communicates the reasons why to the submitting member. BFRS uses a team approach in all areas, including policy development and revision. All BFRS members may suggest updates to any policy through their chain of command, the appropriate program manager, advisory group or by using the solutions box process. Draft standard operating guidelines are normally developed through an advisory group and reviewed by the management team. Changes to rules and regulations are drafted by chief officers or the management team. Policies in the development or revision process are listed in the department’s monthly report. Prior to implementation, new policies or revisions are distributed to all personnel through the solutions box email. Members may comment on the policy for a period of 30 days by responding to the email. Responses are compiled after the review and comment period and forwarded to the management team or advisory group for consideration. The final draft is completed and placed on the monthly training memo, where members have the opportunity to review and ask questions for an additional 30 days prior to implementation. We honor the contributions of first responders and other individuals or groups who are dedicated to community service. 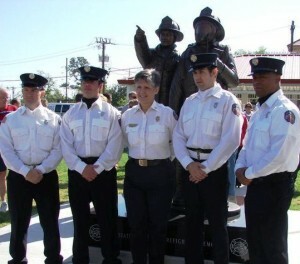 The Honor Guard represents the integrity and tradition of the fire service’s paramilitary roots by honoring these contributors with the highest levels of dignity and respect. The Honor Guard may be requested for department, city-sponsored functions, funerals, or requests from outside the department for special events. To request the Honor Guard, email [email protected] with the details of your event. Please allow two weeks notice for scheduling.